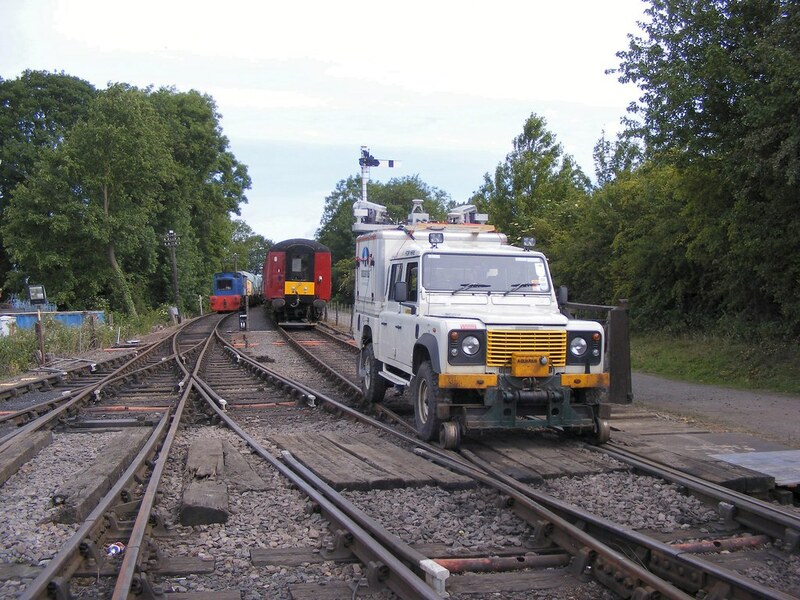 Need a working railway to train staff or test equipment? You can hire our line from just �100*. A road-rail vehicle under test at the NLR. Our line features many different types of railway terrain such as cuttings, embankments and level crossings. There is also a fully-working signalling system. More details will be added soon, but in the meantime please feel free to contact us via e-mail or call the Booking Office on (01604) 820 327 (Telephone manned on operating days — recorded message at other times). Track hire is not available on running days or during special events. Full details of running days and events can be found on the Special Events page. *The figure of �100 refers to a simple hire of the line for a half-day booking (up to 5 hours) with no staff or train hire. Full day rate starts at �150. VAT at 20% is applicable.